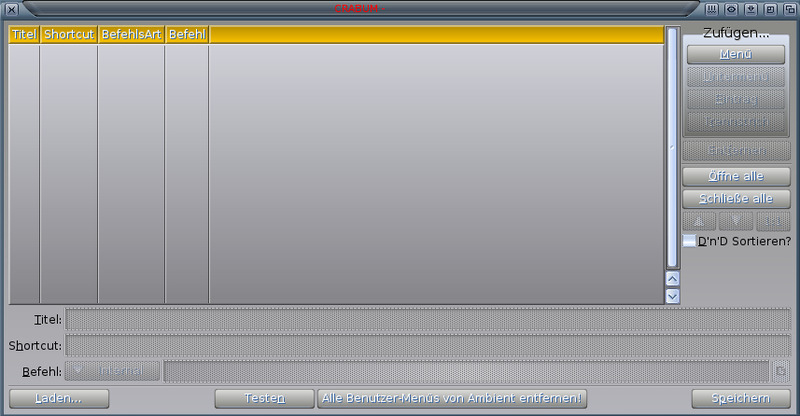 Description: A MUI GUI for creating Ambient user menus the easy way. 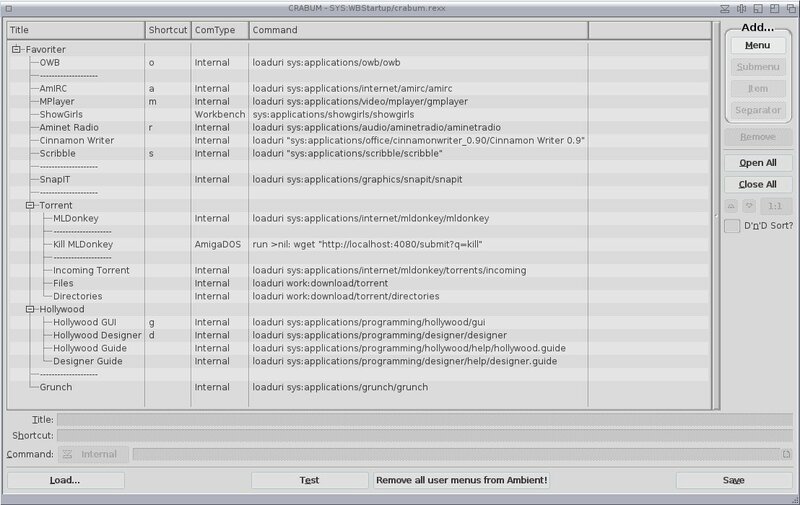 CRABUM is a mui gui for creating Ambient user menus the easy way. You can build own user menus, or load/import already defined usermenus. 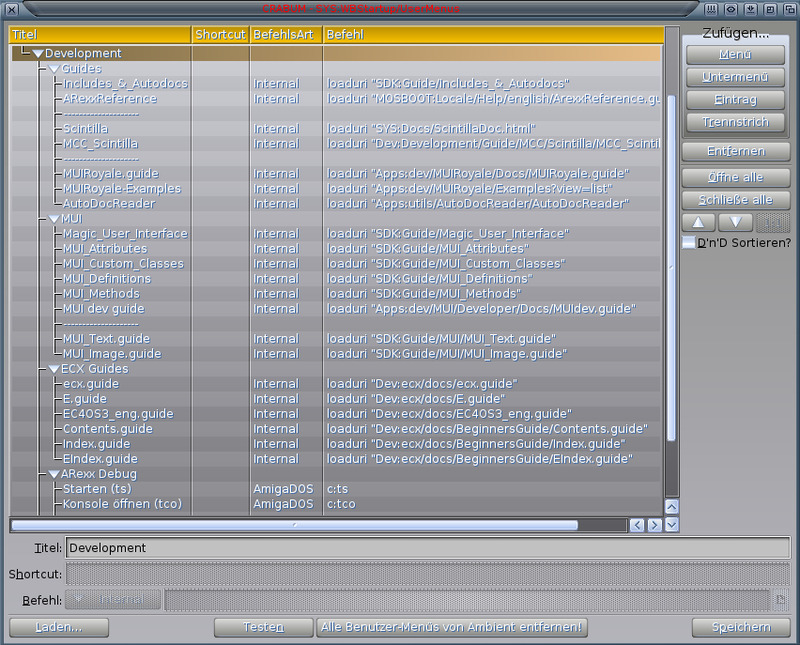 to install it to Ambient (the current installed menus are removed before!). to Sys:WBStartup/ with a project icon and specify "RX" as default program. SimpleCat (by Guido Mersmann) or a plain text editor can be used for that. A german, french, hungarian/magyar and italian catalog is included in the archive. The	spanish translation comes later.